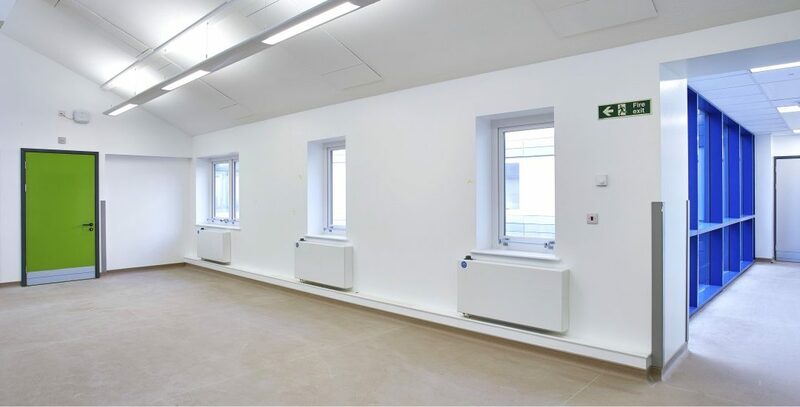 Designed and procured under P21+, the totally new Endoscopy unit was the second phase of development following on from the new MAU on the ground floor. It occupied part new build, part extension on a flat roof and part reconfiguration of an ex-ward. The layout was designed from first principles, with a flow and progression that followed the ideal. Spatially and in terms of specification, the design was fully HBN/HTM compliant.